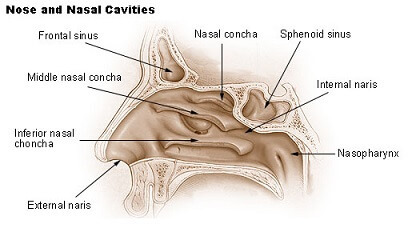 Sinuses are the cavities around the nasal passages having a mucous lining to prevent germs and dust particles from entering the air passage. Air fills the sinuses if they are healthy. However, sometimes fluids block the germs inside them, resulting in the growth of these germs. The presence of bacteria in the mucous lining causes swelling, inflammation and pain in the sinuses and is known as sinusitis. People generally refer to the condition as sinus. The lining of hair inside the nasal passage known as cilia is a layer of tiny hair that prevents dust and germs from entering the body through the nose. The foreign particles get stuck in the mucous and are sent back to the nose. 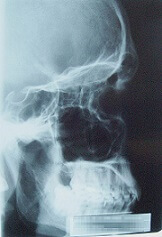 Before this, the substances have to pass through small holes in the bones around the sinuses. Virus, bacteria, fungi, etc. can also cause sinusitis. Some bacteria are already present in the nasal passage however they are unable to harm the body due to the action of the body’s immune system. 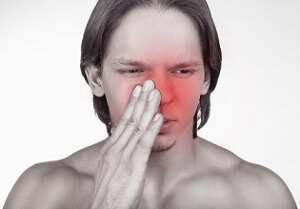 People with weak immune system are prone to sinusitis. 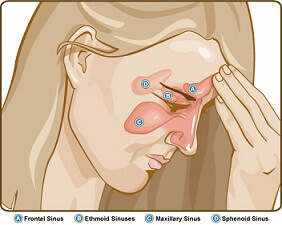 Other infections like HIV, hay fever or allergies could also result in sinus. Some people are more prone to suffering from sinus than others. Pseudophedrine: It is a well known decongestant that makes the individual feel better by clearing blocks in the nasal passages. Restrictions have been put on the availability and use of this medicine as some people have been using it to make illegal substances. However, the main side effect of pseudophedrine is insomnia. People with glaucoma, arrhythmias, high blood pressure, urinary tension or those on chronic medication must consult a doctor before consuming this medicine. Nasal Decongestants: Nasal sprays can be used to decongest the nasal passage. It is quite a relief for people suffering from sinus as nose blockages are very common. Nose blocks can cause difficulty in breathing and force the individual to breathe from their mouth, which is unhygienic. Decongestants that are taken orally cause insomnia, hence, using nasal sprays such as oxymetolazone decongestant is a better option. However, there are certain drawbacks to the use of this form of medication as well. Using this medication for 3 days or more can lead to rebound congestion and the condition is known as rhinitis medicamentosa. Thus, the medication must be used in proper dosage. Phenylephrine: This medication reacts on the sympathetic nervous system. It is an alternative for pseudophedrine. This alternative is easily available unlike pseudophedrine. However, the medicine works weakly in comparison to the former. Antihistamines: Antihistamines can decongest the nose only if allergies are the cause of the congestion. It does not help with the problems of stuffiness or cold and thickens the already irritated mucous membranes. The primary use of antihistamines remains with the fact that they are effective sedatives that help to tackle the insomnia that accompanies sinus. Expectorants: This medication helps to thin the mucous layer. Once the mucous is thin, it can be removed easily from the body by coughing. It works best in cases of chest and throat congestion. It also provides fast relief to the patient. Pain relievers: Continued coughing and trouble in breathing can cause pain in the chest and other areas acetaminophen and ibuprofen are some anti-inflammatory pain-relievers that can be given to the infected person. The medication also helps to cure fever along with reducing pain.